Sorbet is quite sheer, but this makes it a really easy colour to wear. 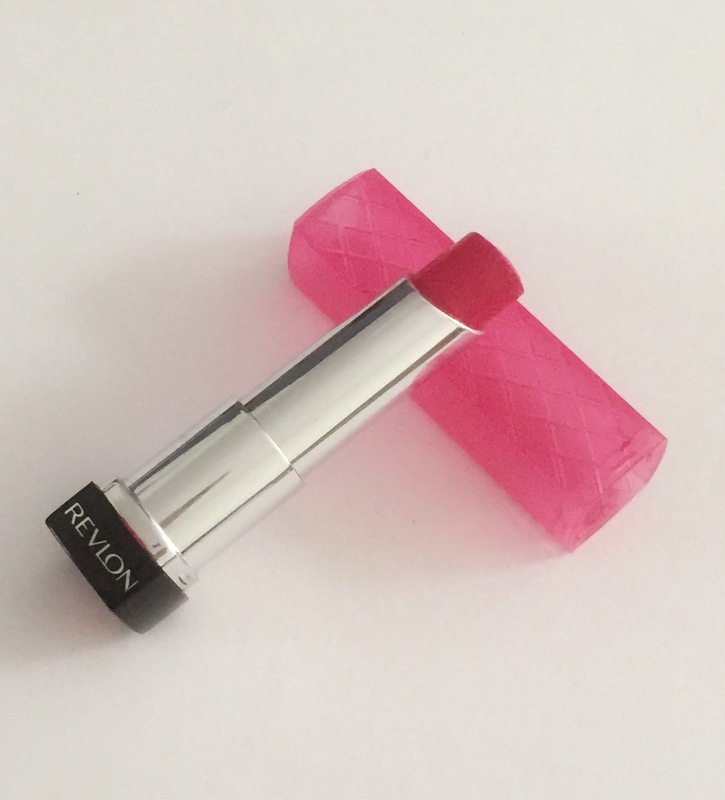 It is still quite pigmented for a lip butter and is moisturising. It is quite glossy at first, but ‘mattifies’ over time. I think it’s a lovely colour for summer and I tend to use this when I want a splash of colour but not anything too bright. When I go on holiday and see a Sephora, I tend to stock up on random lipsticks (Please come to the UK.) 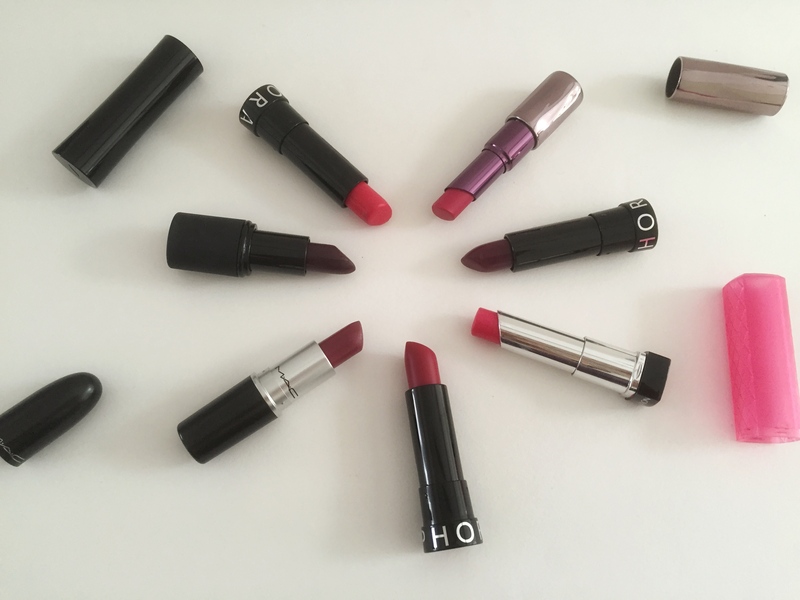 I went through a phase of loving glossy lipsticks, but now I tend to prefer more matte finishes. 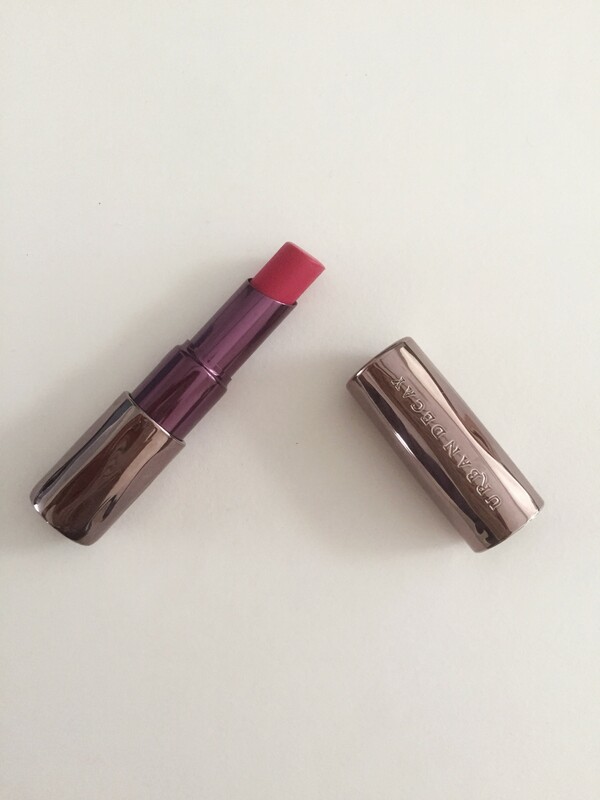 Both of the Rouge Shine lipsticks are sheerer and glossier than Sorbet. Their staying power is not the best, so I would recommend wearing a lipliner in a similar colour with both. 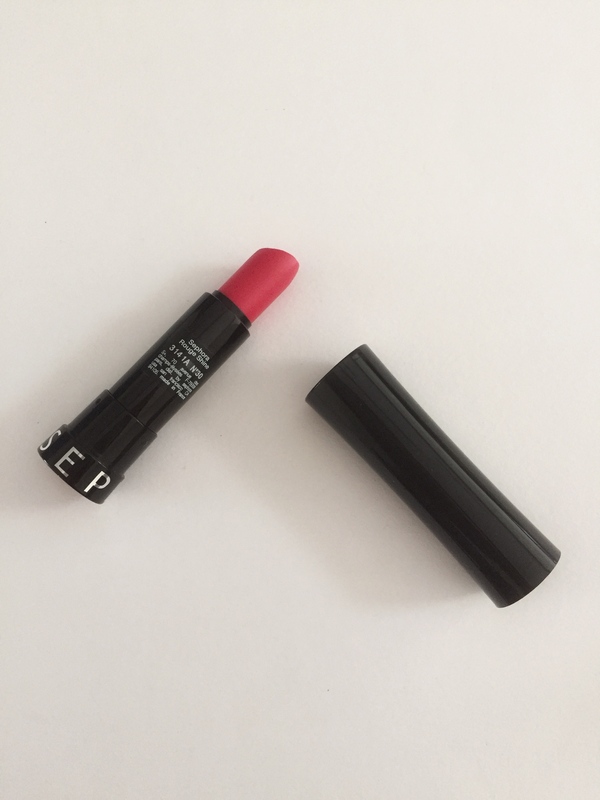 Secret Affair is a really pretty pink-coral colour. It is nice and warm, with more orange in it than French Kiss. It leaves a nice stain and, like Sorbet, is perfect for summer. 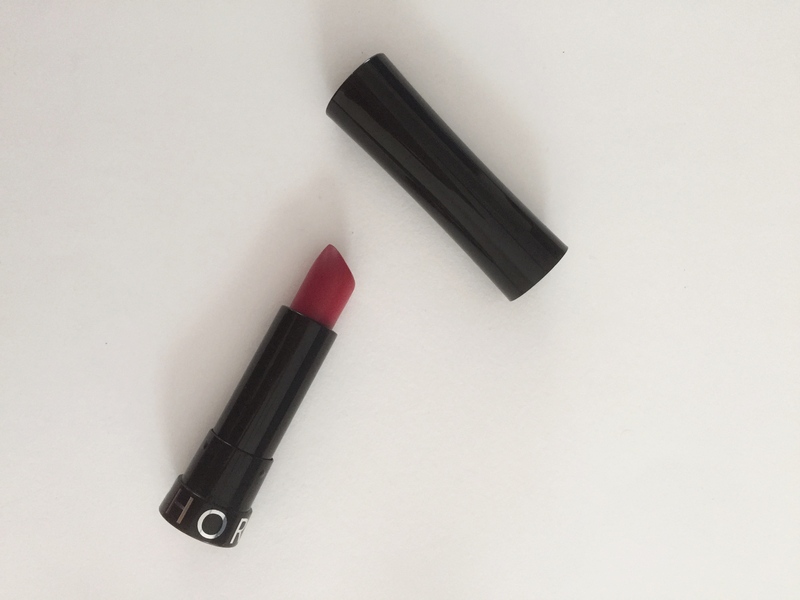 French Kiss is a darker, cooler shade than Secret Affair; it’s more of a fuschia. It does leaves a stain, but it isn’t the most even one. I love this, but I wish it was more opaque. Catfight is really pigmented and applies opaque. As you can see from the swatch it is similar in colour to Sorbet, and has a sheen. It is a bright fuschia which is still quite warm. Its staying power is good and the packaging is beautiful. I do find it a bit tricky to use because of its shape, but I love this for a night out with a bronzey eye, and I will definitely repurchase this! On to more plummy shades! Amorous is my most recent purchase. I haven’t heard much about it and picked it up on a whim; I’m glad I did! It gives full coverage and I love the Satin finish because it is close to matte but still has a sheen. It looks lavender in the swatch, but in reality it’s more like a plummy brown. It smells like vanilla, has a good lasting power and leaves a lovely stain. 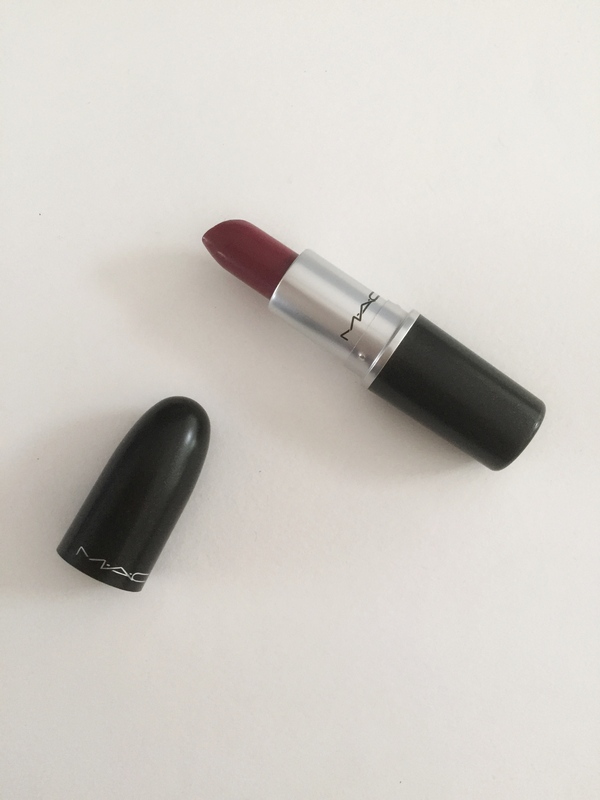 This is my new favourite shade! Now for the more vampy ones! Crush is such a nice, warm purple colour but it tugs, can apply unevenly and is quite drying. I like pairing it up with a warm gold eye (something like Amber Lights.) Like Catfight, it’s a bit tricky to apply because of the shape, but I really like the colour so I compromise. Smother is really pigmented and quite glossy. This also applies unevenly like Crush but is darker. As it is so dark, I prefer wearing it in autumn/winter. I would recommend using a lipliner with this one as it can transfer. 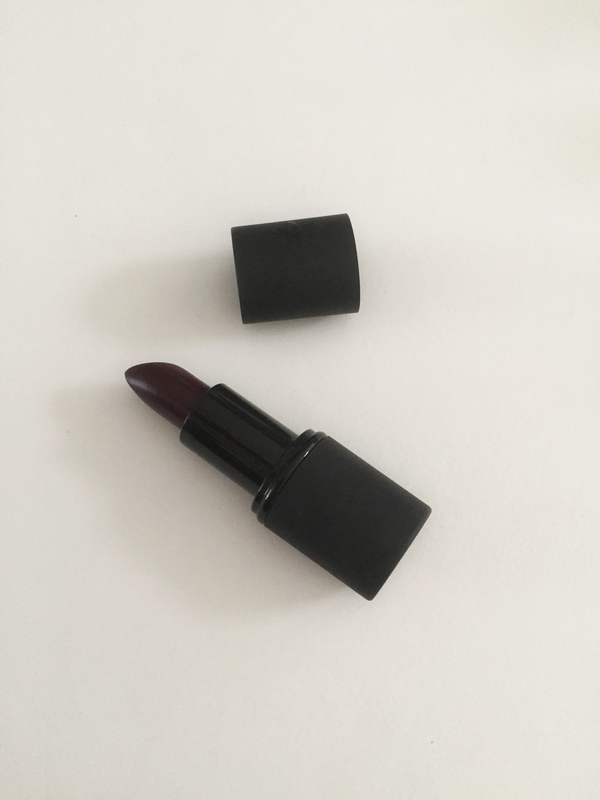 It is a bit smaller than the others, but for the price I think it is a good purchase if you want to try out a dark lipstick. 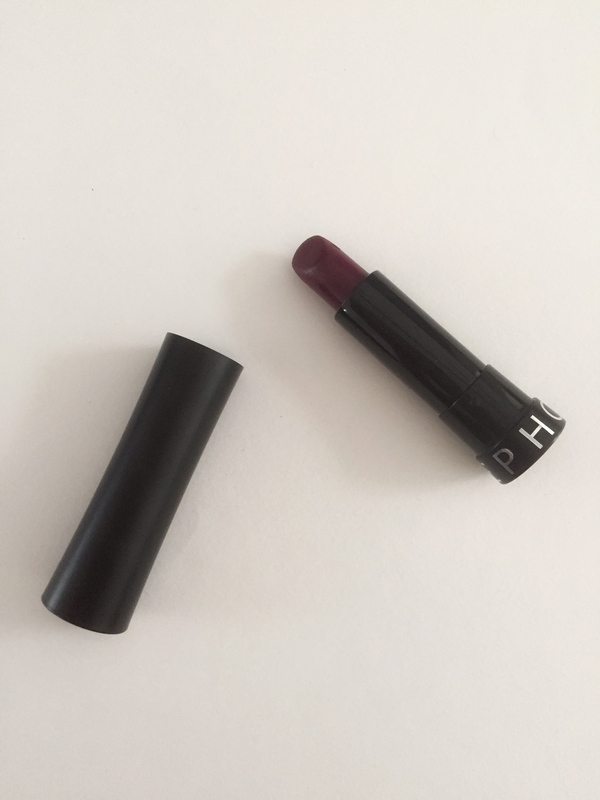 I’m still on the hunt for the perfect matte dark pink lipstick (I need to stop.) 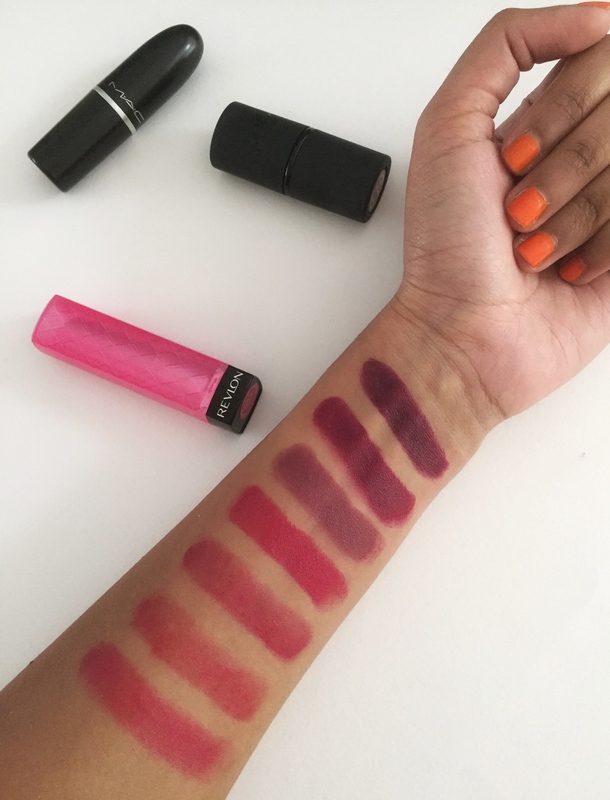 Let me know which pink and purple lipsticks you love!